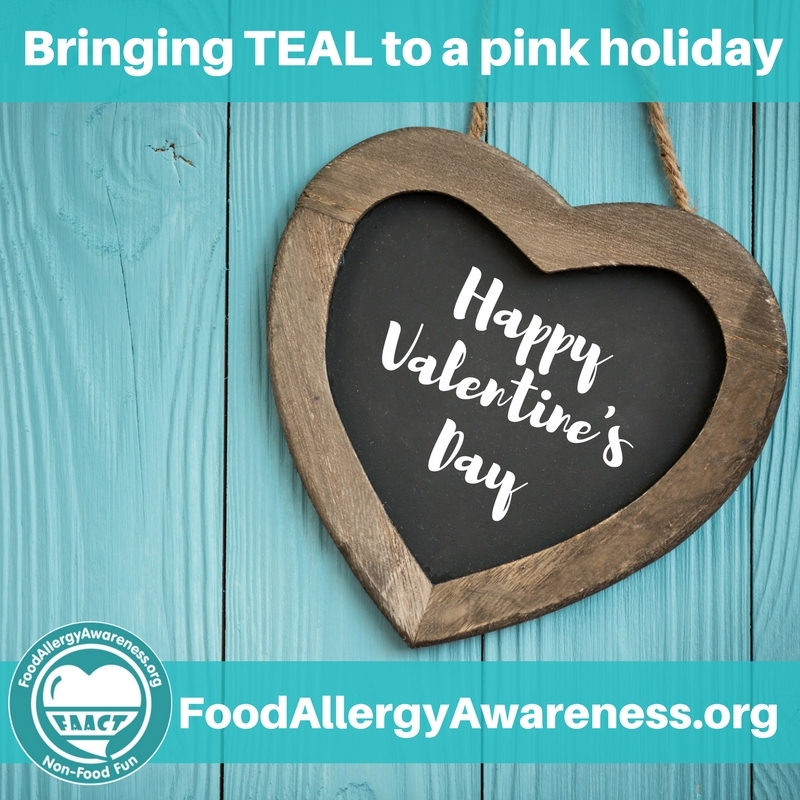 Valentine’s Day can be a concerning holiday when it comes to food allergies. Classroom parties and receiving candy is often the norm at school. You don’t want your child to feel left out, but you want him to stay safe too. So what can you do? Be sure to reach out to your child’s teacher as soon as possible, and find out about any party plans. This will give you, the teacher, and other parents more time to prepare. Is there a way you or a family member can attend the party to help read any labels and monitor the environment? Can the teacher send the other parents a reminder about the food allergy and possibly a list of “safe” treat options? Some allergy-friendly companies you might recommend are Enjoy Life Foods and ZEGO Snacks. Is it possible for the teacher to request the Valentine cards do not have candy with them, or that they can only give non-food treats? If you need to send your own safe treat, try picking something your child loves to eat, but doesn’t eat that often. Is it possible to have a non-food party, and instead focus on playing games and making crafts? Can you help plan any of these activities for the party? Be sure to check out FAACT’s Pinterest Board for allergy-friendly Valentine ideas. When it comes to games and learning, don’t forget to ask the teacher to make sure food items aren’t used as manipulatives or game pieces. There are other fun items available like heart-shaped buttons or erasers that can be used instead. Don’t accept any treats without a label. Don’t eat anything that hasn’t been checked and approved first. Know the signs and symptoms of an allergic reaction and what to do in an emergency. With advanced preparation, your child can enjoy a Valentine’s Day that’s full of safety and love. From all your friends at FAACT – Have a safe and Happy Valentine’s Day!